All staff at the facility had been told to seek shelter or avoid the Travis Air Force Base. Los Angeles, United States: A US Air Force base in the San Francisco area was temporarily placed on lockdown on Wednesday following what turned out to be a false alert of an active shooter, officials said. 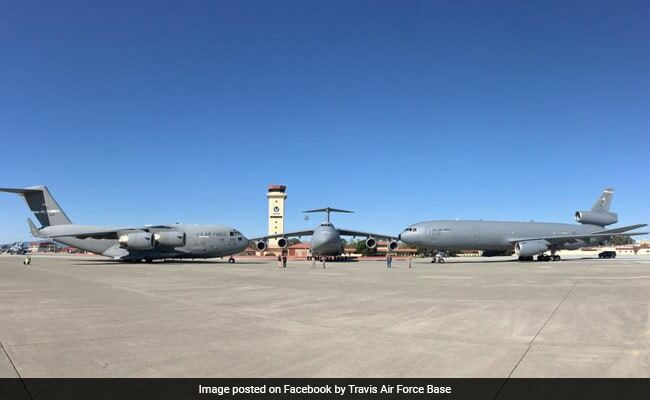 "We received word that our base emergency personnel responded to reports of gun shots," staff sergeant Nicole Leidholm, a spokeswoman at Travis Air Force Base, told AFP. "However, no shooter was found. The base is no longer on lockdown." Leidholm said the alarm was sounded at approximately 3:15 pm local time, prompting officials to urge all personnel, dependents and retirees at the sprawling facility to seek shelter or avoid the base. The base is located some 55 miles (90 kilometers) northeast of San Francisco.